Backpackers treated themselves to free coffee, free BBQ and free travel advice at the Adventure Travel and Backpackers Expo at Sydney’s Town Hall last weekend. The Expo, sponsored by TNT Publishing and Hostelworld.com, attracted legions of keen travellers to meet and talk travel with more than 150 exhibitors from all over the world. 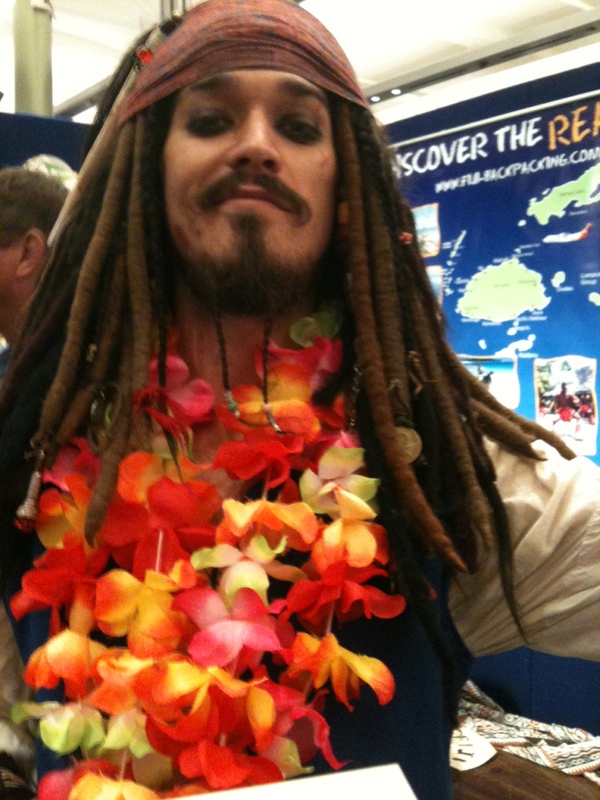 A few operators took the experience of travel being an ‘assault on all five senses’ quite literally – the Cairns backpacker operators amped up the party beats, while the Fijians recruited Captain Jack Sparrow – complete with gold teeth and drunken slur – to promote the Pirates of the Pacific tour on Fiji’s Robinson Crusoe Island. See the full story at Backpacker Trade News.